A CubeSat named Lingque 1B was lost in Wednesday’s launch failure. Lingque 1B was owned by ZeroG Lab, a Chinese company aiming to deploy a fleet of Earth-observing nanosatellites. While Wednesday’s launch is a setback for China’s growing commercial space industry, OneSpace and other companies have plans for more launches and larger rockets, including some with reusable boosters. 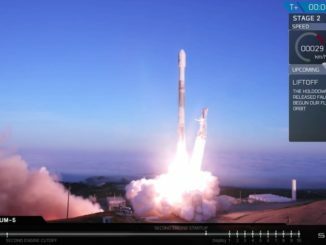 OneSpace’s solid-fueled, four-stage OS-M rocket launched Wednesday stands around 62 feet (19 meters) tall, with the ability to place around 247 pounds (112 kilograms) of payload into a sun-synchronous orbit at an altitude of 310 miles (500 kilometers), according to information on OneSpace’s website. The OS-M’s lift capability to sun-synchronous orbit, an orbit favored for many Earth-imaging satellites, is around 25 percent lower than the capacity of Rocket Lab’s Electron launcher, the first of a wider group of new commercial light-class rockets in development worldwide to successfully enter service. At the conclusion of a Series B financing round in August, OneSpace said it had raised $119 million from private venture capital funds to date for development of its new rocket. 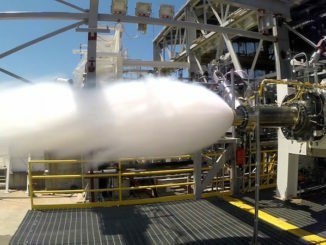 OneSpace said in a statement at the time that it expected to achieve an annual production capacity of more than 30 OS-M rockets by 2020. “We are a bunch of young people gathered together and we want to make a cost-effective launch service for nanosatellites and microsatellites,” said Shu Chang, founder and CEO of OneSpace, in an interview last year with FINN, the digital news channel of the Farnborough International Airshow. Shu said OneSpace’s goal is to provide launch services for microsatellites at high frequency and low cost. 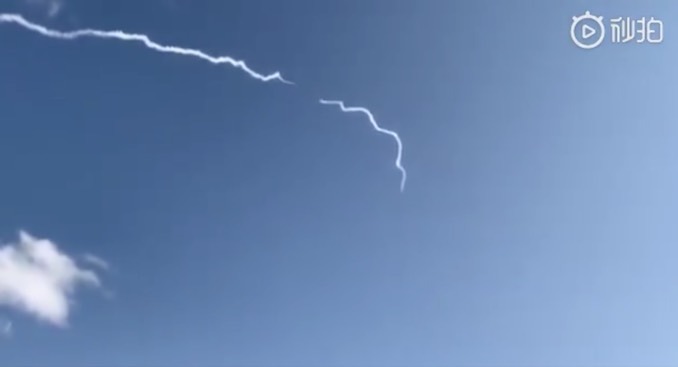 OneSpace launched two suborbital rockets, designed OS-X, on test flights from Jiuquan last year. Following a series of rocket motor test-firings and stage separation tests, engineers transported the first OS-M orbital-class booster to Jiuquan for final launch preparations earlier this year. 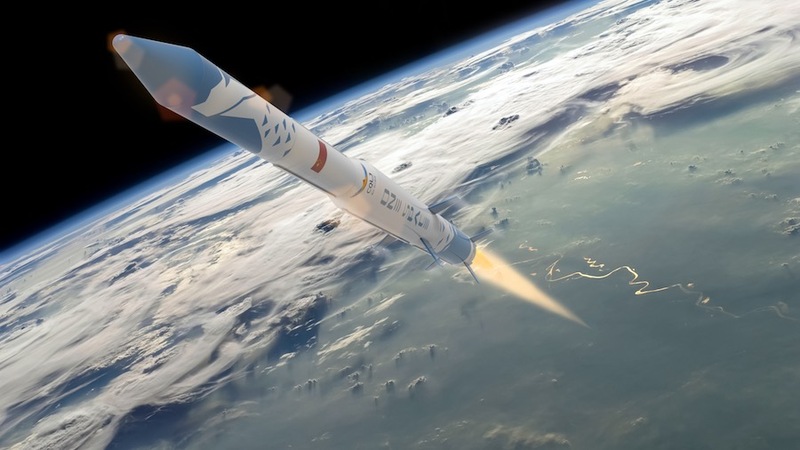 The company’s future roadmap includes more the more powerful OS-M2 and OS-M4 rockets, with two or four strap-on solid rocket boosters giving the launcher additional power at liftoff. With upgraded “Type B” boosters, the OS-M4 rocket is designed to carry up to 1,150 pounds (522 kilograms) to a 310-mile-high sun-synchronous orbit. Headquartered in Beijing, OneSpace is one of several Chinese launcher startups jockeying for position in the country’s burgeoning commercial space market. The Kuaizhou rocket family, which is sometimes counted among China’s new commercial launchers, has already successfully placed satellites into orbit. 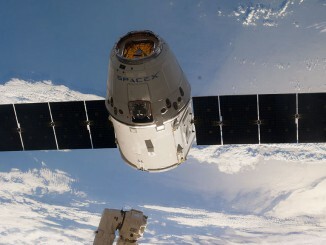 But it is operated by Expace, a commercial arm of CASC, the state-owned Chinese aerospace contractor. After LandSpace’s first launch using the solid-fueled Zhuque 1 rocket failed last year, the company is moving on to the bigger Zhuque 2 rocket fueled by methane and liquid oxygen. Another Chinese launch startup, iSpace, is preparing for the first flight of the Hyperbola 1 satellite launcher in the next few months. LinkSpace is also using Chinese private capital to develop a new smallsat launcher with a reusable first stage. China’s commercial space sector has proliferated over the last few years since the country implemented space policy reforms under President Xi Jinping, allowing private capital to begin funding new satellite and launcher companies. While there is significant private funding behind the new Chinese space companies, international observers say it is difficult to determine how much support the firms may continue to receive from the government. Western analysts believe companies like OneSpace acquire their propulsion technology from the Chinese military’s missile programs. China’s satellite and launch industries have traditionally been managed by state-owned organizations, which oversee spacecraft and launch vehicle design, production and operations. Those government-owned companies, led by the China Aerospace Science and Technology Corp., or CASC, remain major players in Chinese space activities, but startups have entered the fold to develop small satellites and mini-launchers, two of the most dynamic segments of the global space industry.